Sydnie Ziegler and VDL Denzo qualified for the Dover/USEF Medal Finals, the New England Equitation Championship and the ASPCA Maclay Medal Finals. Mettawa, IL - October 18, 2017- Sapphire Riding Academy congratulates one of the young riders heading to the indoor finals this year, Sydnie Ziegler, 18, of Quakertown, Pennsylvania, who will be taking a swing at her chance to get a finals ribbon. 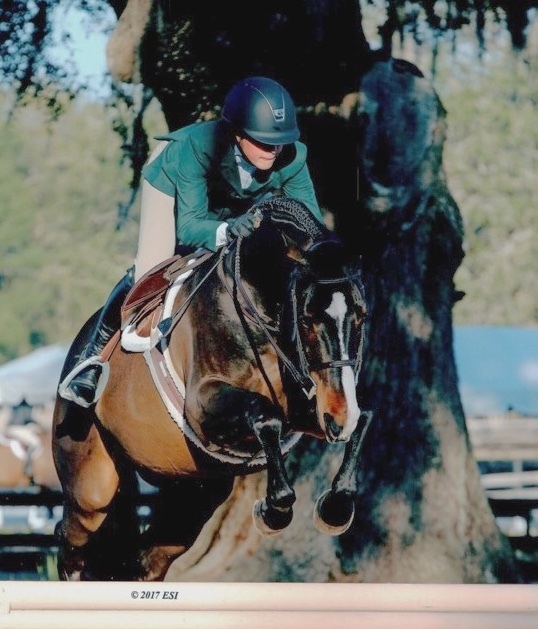 Ziegler qualified for the Dover/USEF Medal, the ASPCA Maclay and the New England Medal Finals and is getting her chance to see them through to the championship. This is her third year riding in the medal finals and her first year riding the Maclay and New England Finals. 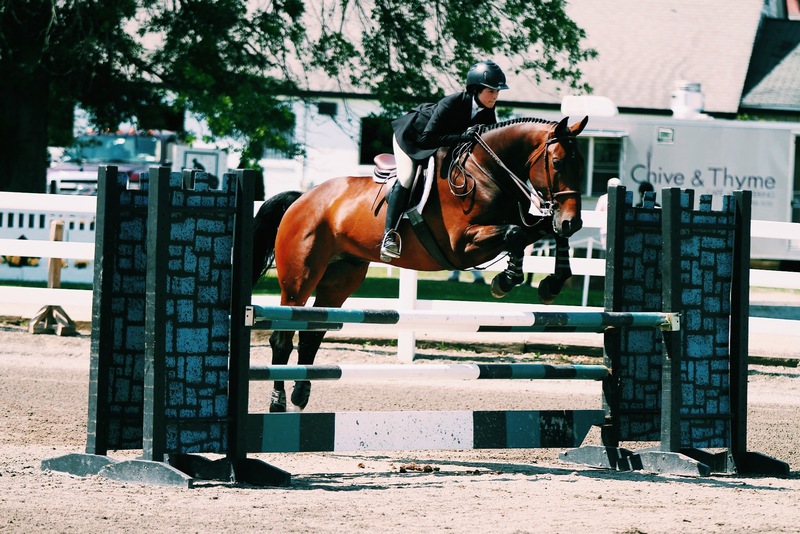 Ziegler spent the summer as a working student for Doug Boyd and Sapphire Riding Academy in Mettawa, Illinois, and just graduated from high school. She plans to be a working student for Missy Clark in Warren, Vermont until next fall when she will attend Oklahoma State University and ride on their equestrian team. Her four-legged partner for the championships is Arandelli, a 12-year-old warmblood gelding owned by North Run Farm. Ziegler has prepared for indoors all season, adding some rigid lessons right before the finals as well as mentally preparing. She is at the barn everyday from 7 am - 4 pm riding as well as helping with other barn chores. Trainer Doug Boyd coached Ziegler to a great 2017 season including numerous top ribbons during the Ocala winter circuit on Mimi Rothman’s Calido’s Son in the Small Junior Hunters. 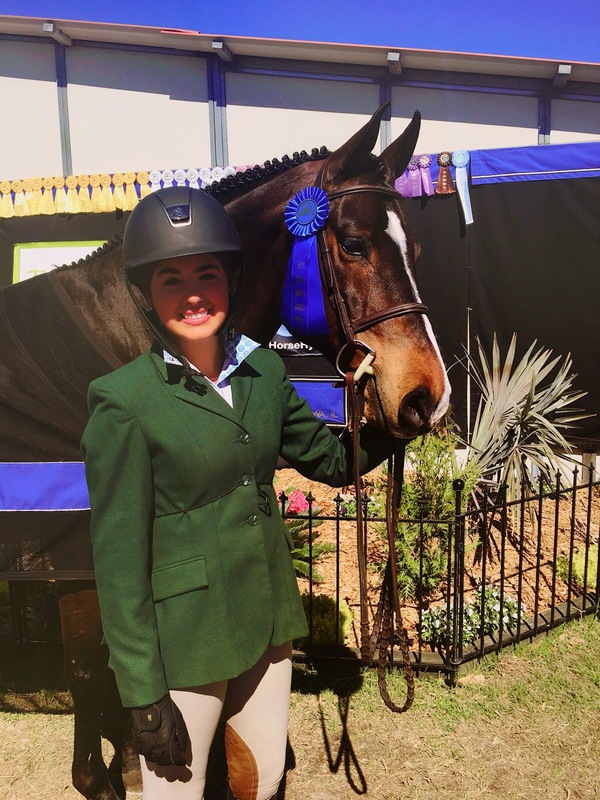 Ziegler rode her way to two championships, two reserve championships and a classic win during Ocala, clinching the Overall Grand Circuit Championship in the Small Junior Hunters 15-17. She also won all four over fences classes during Showplace Spring Spectacular III in Chicago to clinch the Junior Hunter Championship there. Ziegler and Calido’s Son were Reserve Champion Junior Hunter during week II of Spring Spectacular and added two more junior hunter championships during Showplace Summertime I & II along with a USEF Huntseat Medal win. Ziegler and Calido’s Son earned the HITS Chicago Circuit Championship in the Junior Hunters 3’6” for a fantastic end to the summer. Other notable wins for Ziegler include finishing 12th in the 2016 Hunterdon Cup on VDL Denzo. In 2015, Ziegler and VDL Denzo won the Marshall & Sterling Children’s Jumper Finals East. 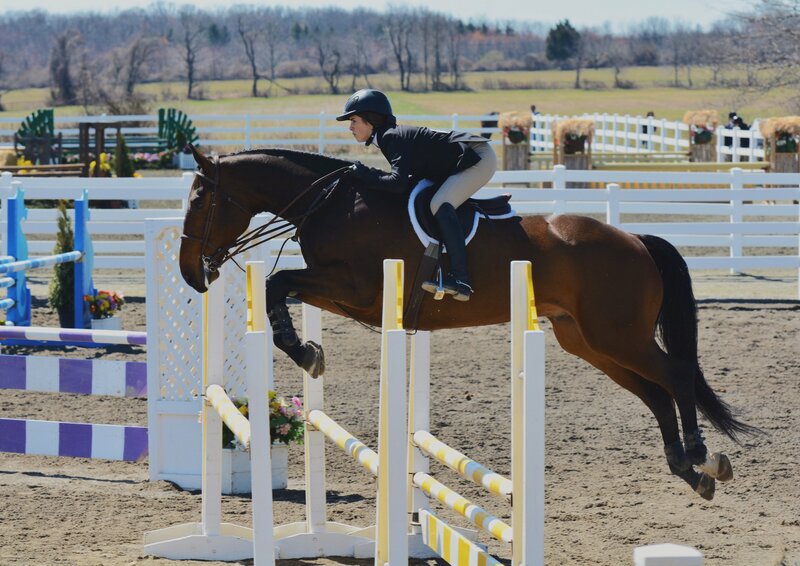 Ziegler started her indoor season with the Dover/USEF Medal Final this past weekend. VDL Denzo and Sydnie Ziegler in the equitation ring. "I would love to thank Doug Boyd and the whole Sapphire Riding Academy team for taking me on as a working student. They allowed me to show many horses and be successful. Being with Sapphire is where I really was able to let my abilities be seen. I would love to thank Missy Clark and John Brennan too. They have taken me in these past few months as a working student and have prepared me for indoors to their best ability. Lastly, the person I am most thankful for throughout my whole riding career is my mother. She has been my main supporter and has been their every step of he way. I could not be where I am today without all these people and more," added Ziegler. After the indoor finals, Ziegler is looking forward to going home to Pennsylvania and working with her two jumpers. In her free time she likes to be with friends doing outdoor activities and exercising. “I also have my days where Netflix in bed is a very good idea!” laughed Ziegler. Boyd is showing his Berkley III at Harrisburg in the Open Jumpers throughout the show and Clara Ciancuillo will also show Nicholas and Secretive in the NAL Adult Jumper Championships on Saturday, Oct. 21st. The team will then head to the National Horse Show in Lexington, Kentucky, for the ASPCA Maclay Medal Finals. To learn more about Sapphire Riding Academy, visit their website at www.SapphireRiding Academy.com.